New hardwood floors added to your home can add a warmth and elegance not achieved by any other flooring surface while increasing the value of your home. We can help you pick out the perfect wood and assist in finding the best finish and stain color to meet your needs. We then install, sand, stain (if needed) and finish the final product. In addition to on-site finished hardwoods, we also offer pre-finished hardwood floors that don’t need any additional sanding, staining, or finish. Classic Hardwood Floors also specializes in expert installation of custom treads and risers for new or old stair systems. Hardwood floor installation requires skill, experience, thought and planning. It may seem simple, but many times it is the most complicated part of renovation. Height differences, humidity conditions, foundation work, and leveling issues are only some of the challenges which a hardwood floor installer may encounter. Most site-finished and prefinished solid hardwood floors are installed using a side nail or staple technique. The nails or staples are powered through the wood’s tongue and into the sub floor. Pre-finished engineered hardwood floors may be nailed, glued or installed as a floating floor. 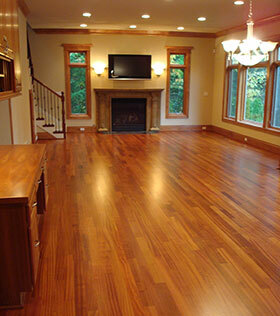 While it does take time and effort to install and finish wood floors on-site, the result is highly rewarding. Site finished flooring enables a greater range of flooring options with multiple colors, stains, finishes, and styles. More options for custom staining and unique finishes. The floor is more uniform and smooth after on-site sanding. Easier to match newly installed hardwoods to existing hardwoods or other interior elements. No empty spaces, cracks or beveled edges between planks. More flooring options are available in unfinished wood. This type of hardwood flooring comes from the factory already finished and ready to install. 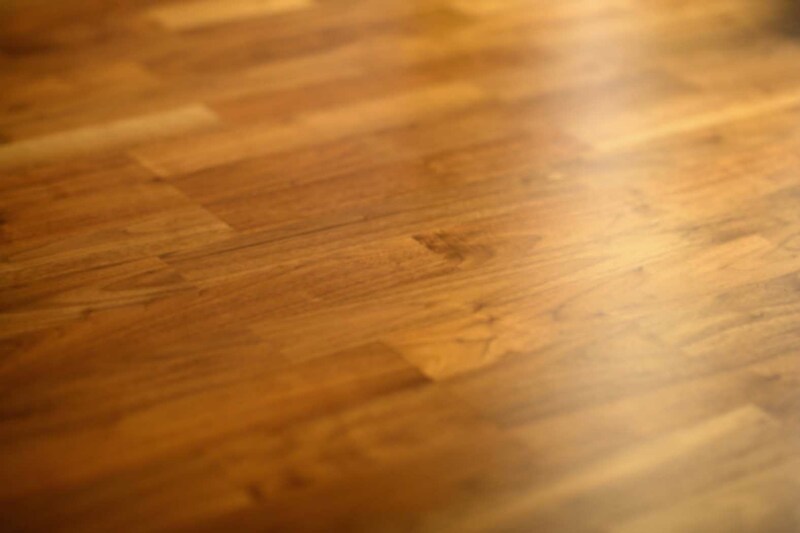 To begin the prefinished hardwood floor installation process all that is needed is a clean, smooth and dry sub floor. While the material cost is somewhat more than unfinished hardwood floors, the cost for labor is less because there is no sanding involved or additional coats to apply. Very little dust and debris. Less likely to shrink or swell. The acclimation time for the wood is less than unfinished hardwood floors. More convenient for the homeowner because it can be accessed immediately after installation. Thank you, Eric… it looks wonderful!!! We will definitely refer you to friends and neighbors.